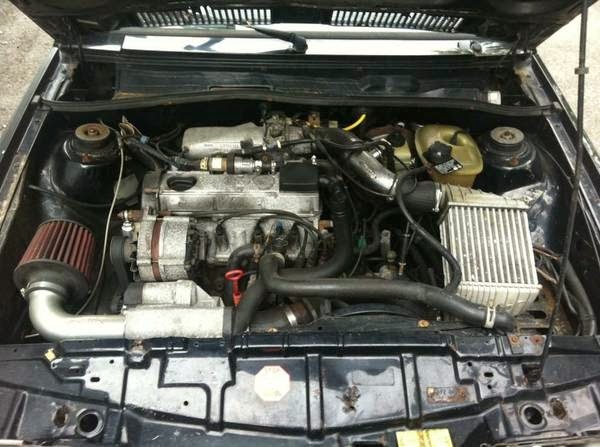 Buy Classic Volks – Volkswagen Scirocco for Sale in Maryland, United States. 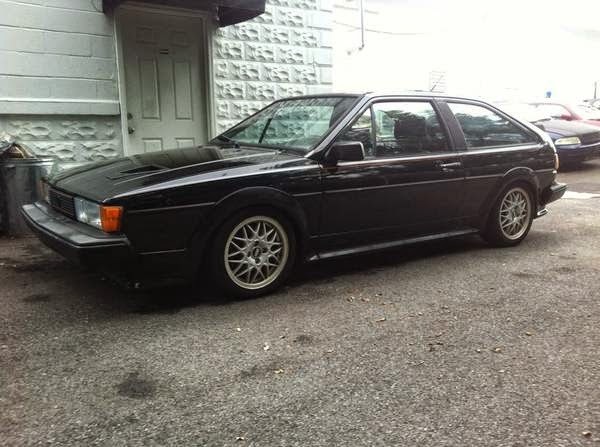 Here’s a Volkaswagen sport compact hatchback car comes in black Scirocco G60 MKII series built in 1988 has 216000 miles on fair condition ready to go for $3500. Originally is a real sport compact car was produced by Volkswagen to North American specification market. I’ve owned this car since 1997 but I think its finally time to let it go. I just have other priorities in my life at this point, and I just don’t have the time or space for it anymore. I bought the car with 87k on it in 97 and it has roughly 216k on it now. It was my daily driver for years but now it just sits at my shop and only gets driven a few times a year, so I’d rather it go to someone that will actually use. The engine was freshened up 3 years ago when the swap was done so it has a new timing belt, water pump, manifold gaskets, seals, charger timing belt, etc. The body itself is in pretty fair shape but there is some rust on the doors, hatch, hood and fenders. It’s mostly pretty minor but there are holes on the passenger door. Mileage on the engine I believe is around 140k, and I put around 3k on it since the swap. The charger was rebuilt at some point in the past, but I had not rebuilt it as it appeared to be in good shape. The car makes 182hp and 180ft lbs at the wheels. Being that I’ve had the car for quite a while, it has a decent amount of mods, and I may even be forgetting some of them. The dash is cracked but I have crack-free dash that will come with the car. The interior lighting is currently not working as something shorted out behind the dash and fried the headlight switch. I have a new headlight switch as well but I believe the wiring is burnt up so that would need replaced. Here’s a list of what we’re working with. Euro headlights need to be relayed. The headlights work just not as well as they could. Pass side turn signal flashes fast. I had a broken turn signal years ago, and once I replaced it still continued to flash fast. Turn signal does light up. Has a small electrical drain. If the car sits for a week or two without being driven it’ll kill the battery. There is a bit of rust, and the paint isn’t great. Hood has a large dent where a spark plug shot out of the 16v engine that used to be in there. Rear tailights appear to not match. I haven’t replaced either tailight in the 17 years I’ve owned it so maybe one faded or was a replacement from a long time ago. There may be more that I’m forgetting, but should cover most of it. The car has ran great since the g60 swap and haven’t had any issues, I just don’t have the time or space for the car anymore. Mechanically the car is great it just needs some body work and a little more TLC. Let me know if you have any other questions about the car. 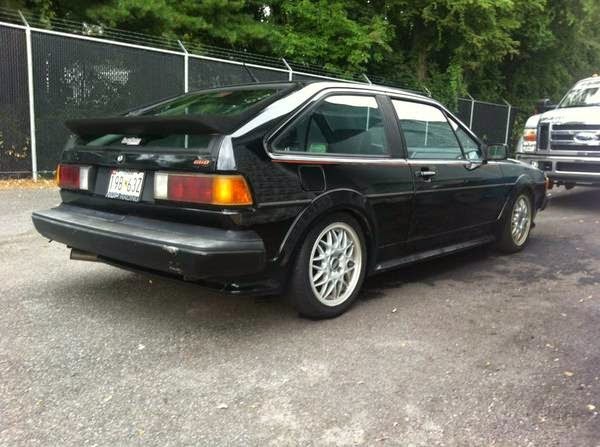 This entry was posted in 1988, Closed, Scirocco, USA, Volkswagen and tagged Volkswagen Scirocco on October 10, 2014 by buyclass.